A delicious light and healthy, frozen snack made with natural yoghurt and fresh blueberries, stored perfectly in your Babypotz conatiners! Insert the kebab stick into one of the blueberries and swirl in the yoghurt until covered. Place the yoghurt covered blueberry on the baking sheet and repeat until all of the remaining blueberries are covered. Place the blueberries in the freezer and freeze for one hour. 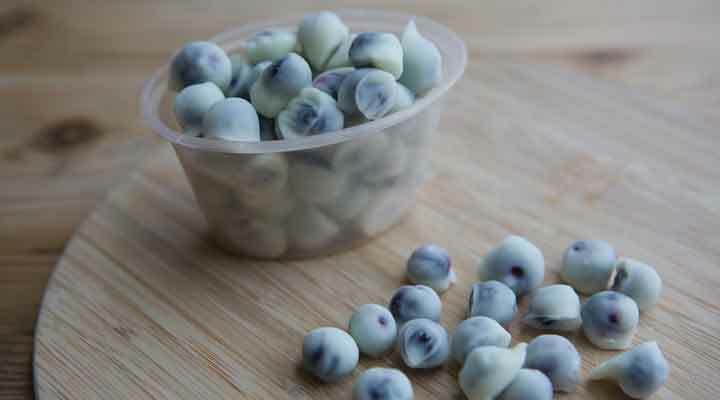 Once they are solid, remove them from the baking sheet and place the blueberries in a freezer safe container. Our 5oz babypotz are perfect for this!